Spectacular views and sun exposure with an on mountain location with easy, easy access to the lifts. Elegant rustic decor with log accents and an ideal floor plan- large rooms and each bedroom, plus the loft, with it's own bath. 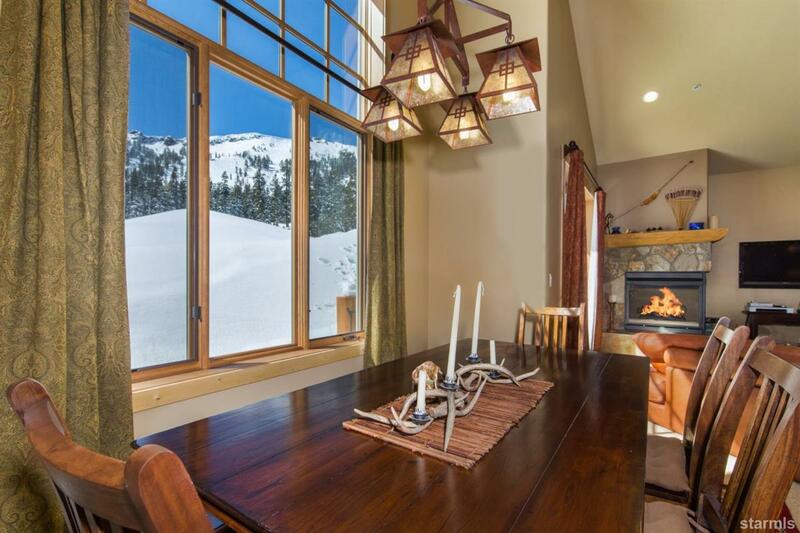 The spacious great room has vaulted ceilings, expansive windows, a fireplace with log mantel and a large southern facing deck overlooking the ski area. Other features include the gourmet kitchen with granite counters, high end appliances and wood floor and a private 2 car garage. Cross Street Address Kirkwood Meadows Dr.